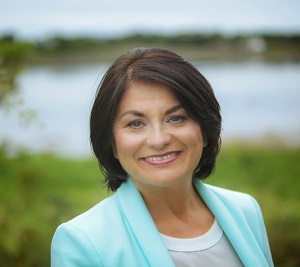 Dr. Fidelma Healy Eames, PhD, is a former Senator, Teacher Education lecturer, business woman, writing coach, author and Chair of Yeats Thoor Ballylee (WB. Yeats’ ancestral home, Co. Galway). A wife and mother to two adopted children with her feet firmly on the ground, she currently works as a business consultant in Education, Careers & Public Affairs. A highly skilled facilitator and panel discussion leader – she ensures maximum involvement of the group so that all voices are heard and that progress is made towards achieving objectives. Visioning and leadership are her particular specialisms. An engaging Host and MC she has a warm and thought-provoking approach that makes her audience feel good about themselves and delighted they came. A guest speaker on a wide range of subjects (e.g. motivation, learning, education, politics/ public affairs, self-worth, inspiration, leadership, careers, happiness), she is known to make her audiences – from children and students to business people and the more mature – feel motivated, revitalised and focused to take action in their lives. Her speeches are tailor-made and bespoke to the audience in question. Her maxim is Mandela-inspired ‘Vision with Action can change the World’. To book Dr. Fidelma Healy Eames or to talk to us about your event requirements, please submit the enquiry form or call us on 087 718 1360.